Listening to your favorite album or watching your hero doing those stunts in a movie, it is a different experience if youhave a home theater. Advancement in the field of audio visual equipments has brought the music lover and the movie buff a delightful experience through those home theaters. While the conventional stereo music has a left and right channel, in a home theater the standard is five channels. The basic thing about the perfection in listening experience from the home theater is the correct placement of the speakers. The length, the height and the placement of your seat are integral part of that positioning. If you observe the packing of the equipment or wherever the name home theater is mentioned there will be a number 5.1 written along with them. This stands for two front speakers (left and right) one central speaker and two surround speakers (left and right) and a subwoofer. The .1 denotes the subwoofer. Most modern houses will have a concealed wiring arrangement for home theaters. There will be a provision for placing the two front speakers facing you on the opposite walls at a height of 10 feet from the ground. Similarly the surround speakers will be on the opposite walls in line with your seating arrangement facing each other on the opposite walls at the same height of 10 feet. 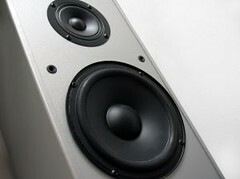 The central speaker will be placed above the player like a television or a DVD. The Home theater system will be placed above the DVD or television on a separate stand with the (sometimes) built in sub woofer. Connecting them correctly is just as important as the placement. Check the positive by connecting to a positive of a spare battery. If the diaphragm of speaker make a forward motion your positive is right. Then all you have to do is to switch on the home theater, put on your favorite album or DVD and sit there to enjoy a different listening experience.